Student DVD, with dialogues, narratives, and ASL literature featuring culturally-diverse Deaf signers that appeal to high school and college-aged students. 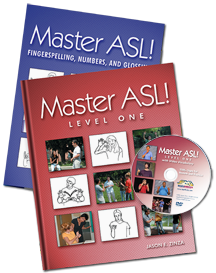 DVD also includes instruction and examples on grammar, Deaf culture, and more. 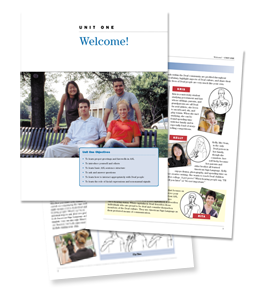 Student Companion, featuring more than 250 fingerspelling exercises, 200 numbers exercises, and glossing instruction.